An interest rate is the portion of loan repayment that is charged to the borrower and is expressed as an annual percentage of the loan. Therefore, if you have a $200,000 loan and an interest rate of 4%, you will pay $8,000 in interest in the first year of the loan. Each year the amount of interest you pay decreases as your principal balance of the mortgage decreases. Another number for you to understand when it comes to your mortgage is the annual percentage rate, also called an APR. The APR is a calculation of the yearly cost of the loan over the entire mortgage. The annual percentage rate includes a number of fees associated with the loan in addition to the interest rate. Some of the fees included in the APR calculation are discount points, origination fees, broker fees, processing fees, underwriting fees, document drawing fees, and appraisal review fees. Two important documents regarding mortgage loan rates are the Good Faith Estimate and the Truth in Lending document. The Good Faith Estimate lists out an estimate of all the different settlement costs and fees associated with your mortgage. The truth in lending document explains the annual percentage rate that you have on your loan. 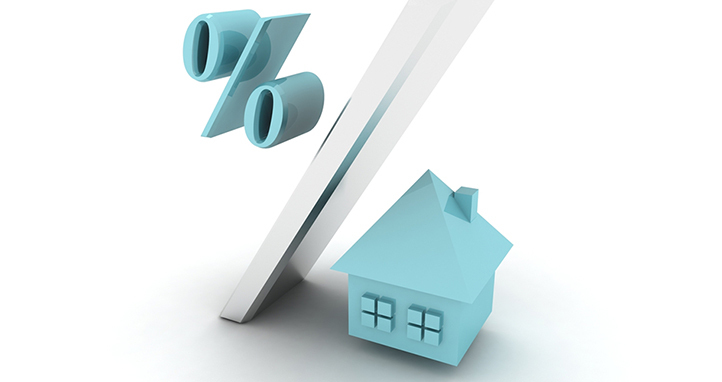 There are a number of factors that influence mortgage loan rates. First and foremost banks must adhere to federal policies will setting up their interest rates. They must also take into consideration the competition in the marketplace. If a financial institution charges rates that are much higher than others they won’t get as much business. Some other factors that influence interest loan rates are the mortgage product type, the property type, the loan to value and the credit rating of the borrower.